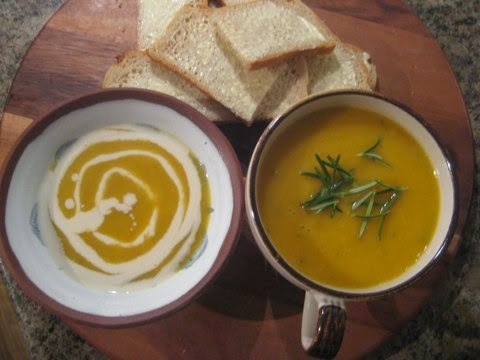 I Made this soup the other day out of leftovers and didn't write down the recipe or anything as didn't expect it to be that great - but it turned out so delicious - I was amazed & had to try and recreate it! Think it's almost the same as the original! It's fat free, dairy free, very warming and very healthy, so perfect if you need a lighter meal to balance out all the rich food that's around at this time of year. 1 peel & dice the celeriac and carrots. chop up into chunks. 2 heat the light olive oil (or coconut oil or butter or whatever you like to cook with) in a casserole dish or heavy based saucepan. 3 add the carrots, celeriac and lemon thyme and stir fry over a medium heat for a few mins until just starting to brown. 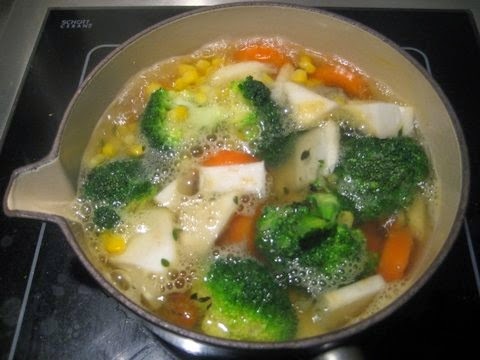 4 add the sweetcorn, broccoli and stock to the pan. 5 bring to the boil, then reduce to the simmer and cover the pan with a lid. 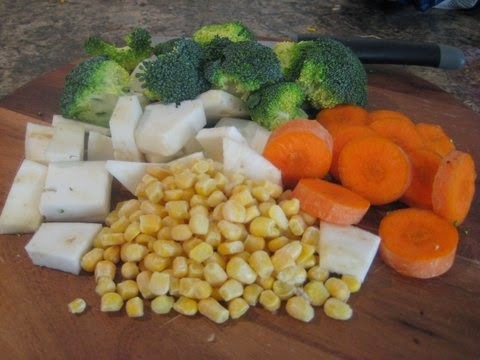 leave to simmer for about 20- 25 mins, or until all the vegetables are soft & cooked. leave the soup on one side to cool before you blend it. Transfer to a blender and blitz! 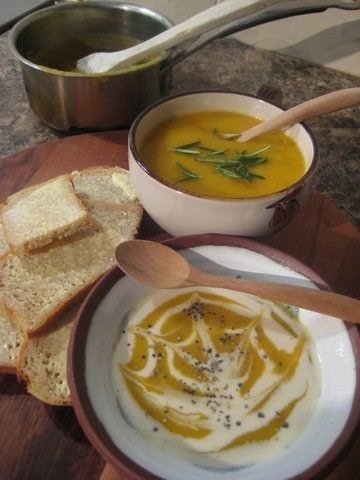 season to taste, garnish with fresh herbs (I used rosemary), cream alternative (almond cream shown above) vegetable crisps or anything else you can think of.